The most striking way for me was the absence of many of the legends that I have talked to so often over the years, some that I consider friends. In recent times we have lost John Surtees, Jack Sears and many others of that generation of racers who were active during what is often regarded as the golden age of motor sport. There are others whose advancing age and infirmity has meant they can no longer come and add to the Goodwood events in person, events they helped create and evolve, and make the global successes that they are. I have been interviewing Sir Stirling for nigh on 30 years, and consider both him and Lady Susie as friends. At nearly 88, his health has not been good since his illness in Singapore last December. I spoke to Susie a week or so before Revival, and she said that, sadly, Stirling was not fit enough to attend. It was good to subsequently hear that, even on the Friday morning of the event, he had still wanted to come! As patron and one of the founders of the Goodwood Revival, he has only previously missed one event in 19 years, and that was through illness. His willingness to talk to everyone, to sign endless autographs, to lend his great personality to the proceedings, and to charm everyone who encountered him, has made the event what it has become. Not only have I enjoyed interviewing such a perceptive observer of both the events of his time, and the current scene, but I valued the long sometimes meandering chats, often before and after the formal interviews. Perhaps the inevitable gradual passing of the generation who actually raced in period at Goodwood will alter, perhaps detract from, the events which they have championed for a quarter century. 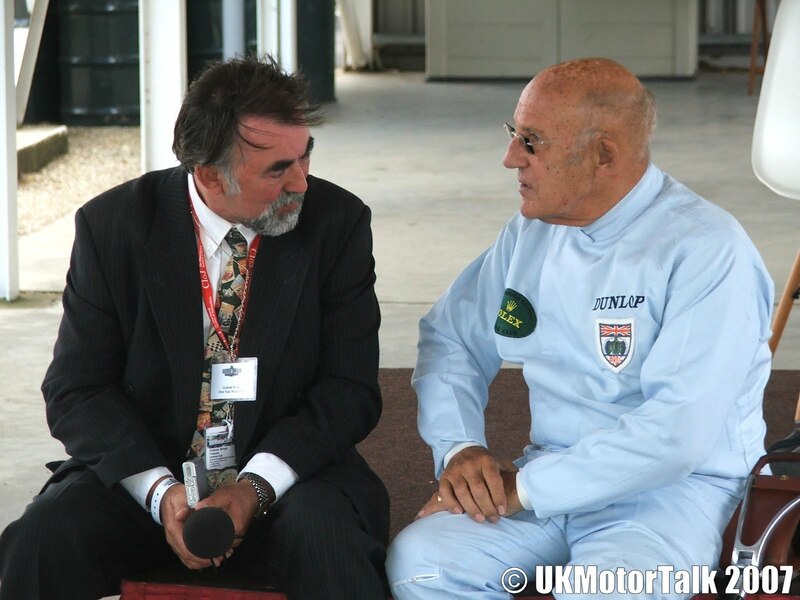 For me the presence of such legends made the Goodwood Festival of Speed and Goodwood Revival the global events they have become, their absence for me could reduce those events in stature. It will be interesting to see how the vacuums they have left are filled. I earnestly hope we shall see both Stirling and Susie back at Goodwood. If not those questions will continue to be asked for many years yet, such is the power of Stirling’s legend.